SIGN UP as our EXCLUSIVE MEMBER! After much consideration and feedback received , we have decided to take the next leap forward. 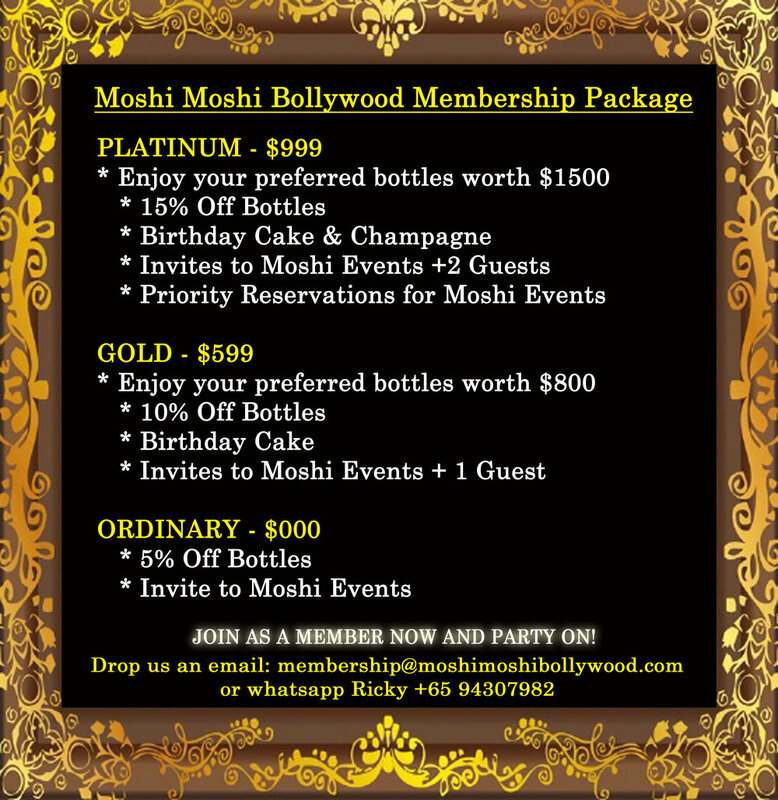 Moshi Moshi Bollywood will go exclusive for members only on 01 March 2019 ! Regular Moshi patrons and supporters will be given complimentary Membership upon application. We thank you for your continuous support and feedback for the past 12 years and looking forward to many more! SUBMIT YOUR APPLICATION NOW! Click any of the links below. or whatsapp : Ricky +65 94307982 . We will update you on your membership status. THANK YOU and looking forward to see you in Moshi!